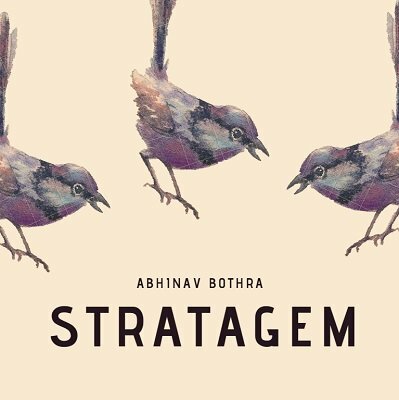 Stratagem is a 3 phase modular routine using a regular pack of playing cards. It is easy enough for a month old beginner and at the same time delivers an impact of an expert. Each phase of Stratagem stands on its own and at the same time builds upon the previous one. Phase I (CAAN on Steroids) :: A crossbreed of 'Do As I Do' and 'Card At Any Number'. CAAN not just once but twice - once in the hands of the performer and the other time in the hands of the participant with zero sleights involved. Each time all the decisions are made by the participant. Phase II (Remote Viewing) :: With your back turned, the Participant cuts the pack at a random spot sees a card and buries it back in the middle. You instantly guess where there card is and later tell them what their card is. Phase III (Mind Reading) :: Participant takes two cards from a spread (away from performer's view). The performer starts by calling out the sum of value of the cards, moving on to individual values, color and lastly the suit. Uses a normal pack of playing cards that can be given away as souvenir. 99% self-working with only 2 sleights/card techniques easy enough for a month old beginner. Needs 3 minutes preparation that can be done anywhere anytime (no arts and crafts). 1st edition 2018, 16 pages, video length 15 min 47 s.